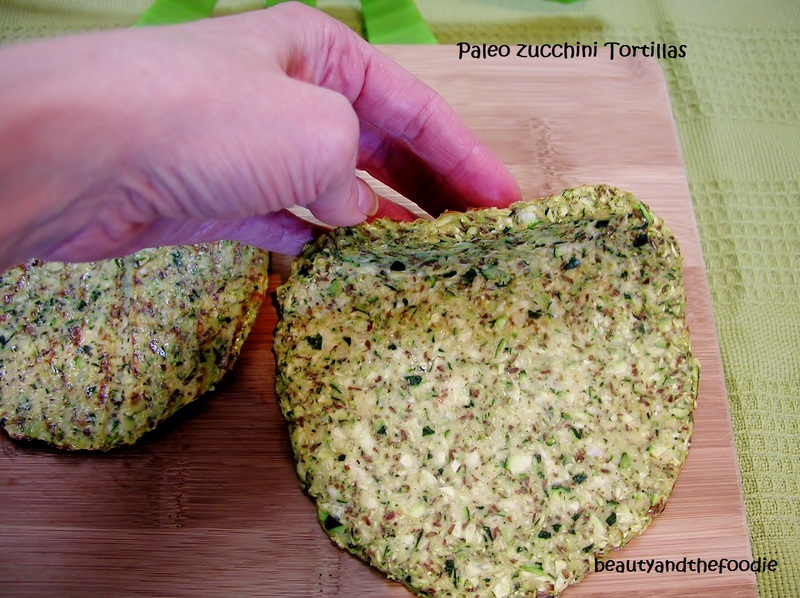 I made some paleo tortillas that are soft and somewhat bendable, but can be made more crisp as well. I made these to have with a taco , toastada, or sandwich wrap.The best part is that it contains no cauliflower that makes the house stinky, and the kids whiny. I do love cauliflower though. My hubby hates it ,so I needed to come up with something he would eat. 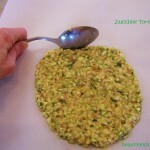 I mixed ground up zucchini, minced garlic in a processor. 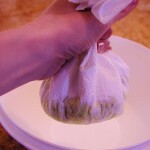 Then put in fine woven towel or cheese cloth and squeezed out excess water. Mixed in chipotle pepper powder and egg. Mixed in flax meal and coconut flour. 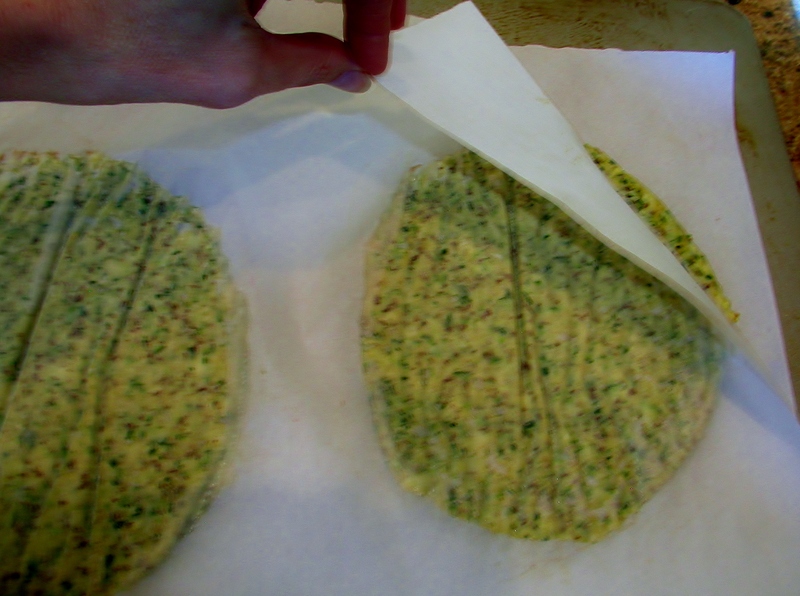 Spread out on parchment paper in circles. Then baked and flipped over to bake other side. Then I made breakfast toastadas right after. 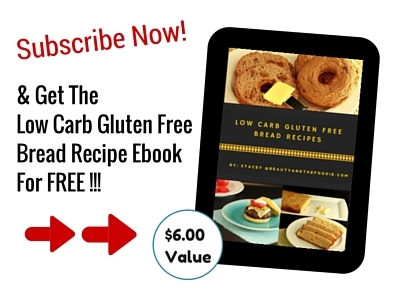 I posted a link for that recipe at bottom of page. I love Mexican food!!! 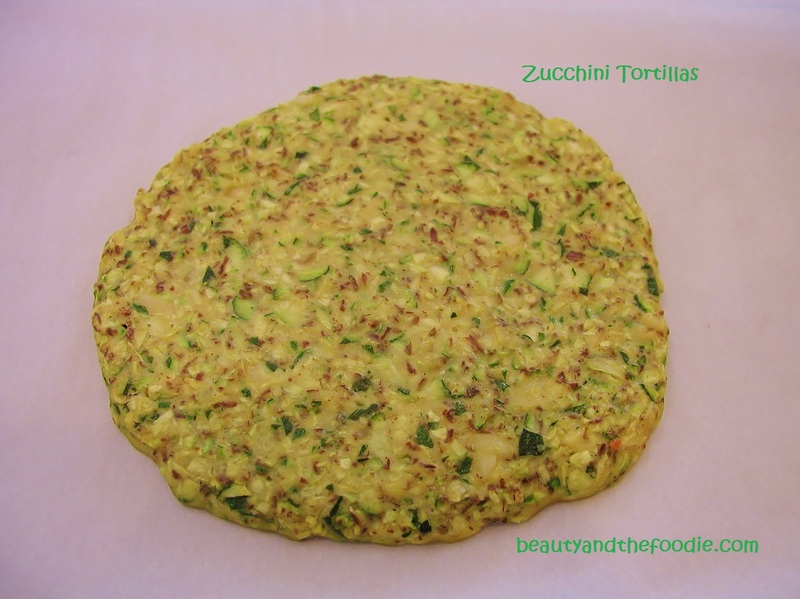 The kids and hubby loved these tortillas. They hate cauliflower, so I had to think of something. Dash Himalayan sea salt * optional. 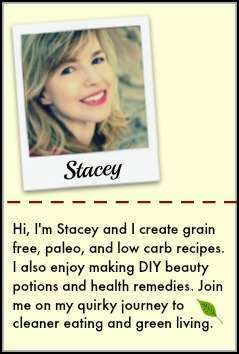 1 Tsp Flax Meal * optional. Transfer mixture to a mixing bowl, and mix in all remaining ingredients. Mix until a little thicker ( it won' be like dough , more like a batter ). Don't make too thin, you shouldn't see any paper. 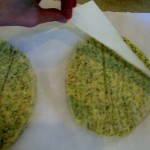 Bake in oven for 10 to 12 minutes, then take out and put another sheet of parchment paper on top and flip both pieces of parchment paper over back on baking sheet, then slowly peel off parchment paper on top. Bake again for 8 to 12 minutes till slightly browned. Can also, at this point, fry lightly in oiled pan, on each side ,to make more crisp. Huge hit at dinner tonight! I made your tortillas with grated zucchini for fish tacos (www.paleonewbie.com/paleo-spicy-tilapia-baja-tacos-lime-slaw-avocado-cilantro-sauce/)….Not one bite left over! Thank you so much, Deborah. I made the cupcake social media icons. and the pulp used for this recipe. Leona, I don’t see why you couldn’t use the pulp. 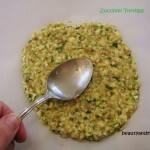 It would probably work great, and be easier as you would not need to press the water out of the grated or ground zucchini. 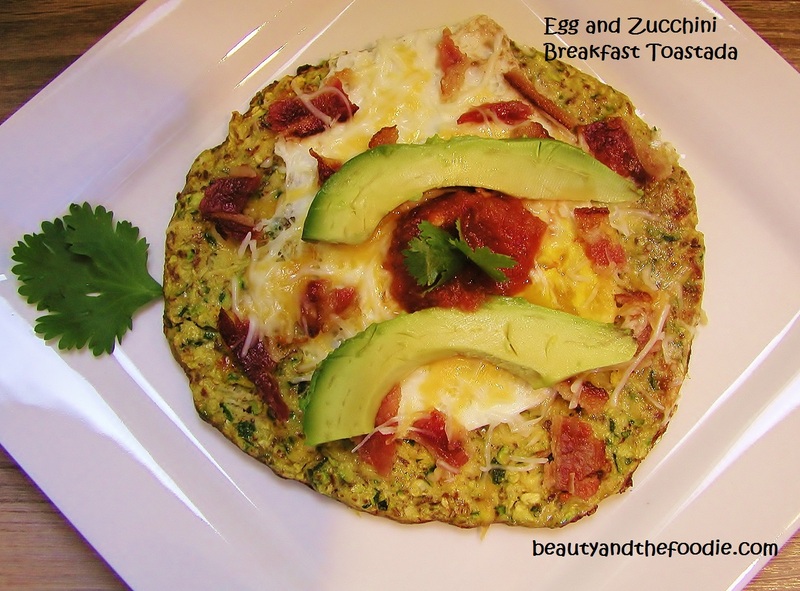 I cant eat eggs….would a flax egg work or baking soda & vinegar? 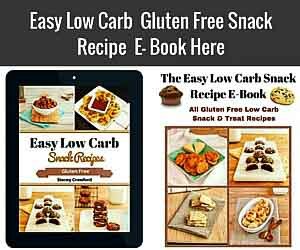 Linda, I have not had success yet with making these egg free, but I have not tried baking soda and vinegar for egg replacement. I’ve used that to replace baking powder though. Mary, I believe you could freeze them in a zip bag or covered container with parchment paper or wax paper between them (to prevent them from sticking together). 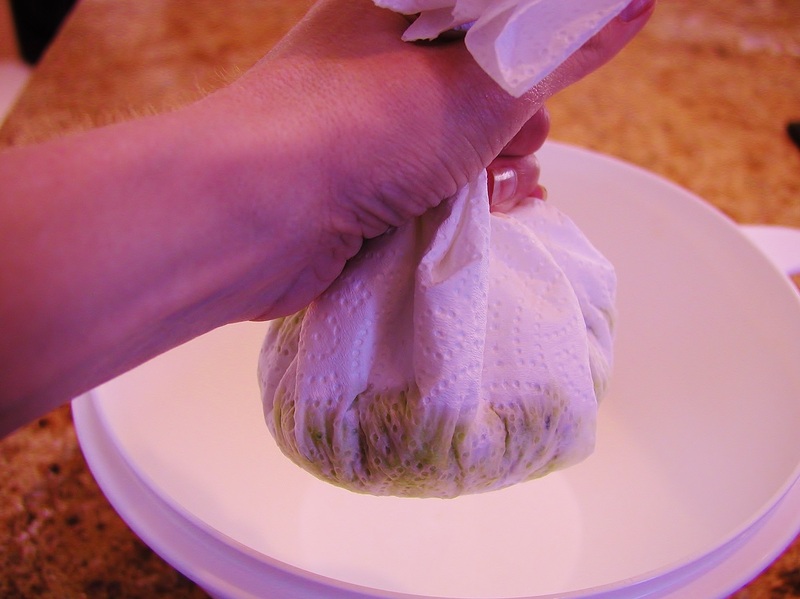 Then defrost in fridge before reheating in the oven. Not sure how long to reheat for, as I’ve have yet to try it. Let me know how it goes. Hi Karen, it is approximately 1 1/2 cups grated zucchini. 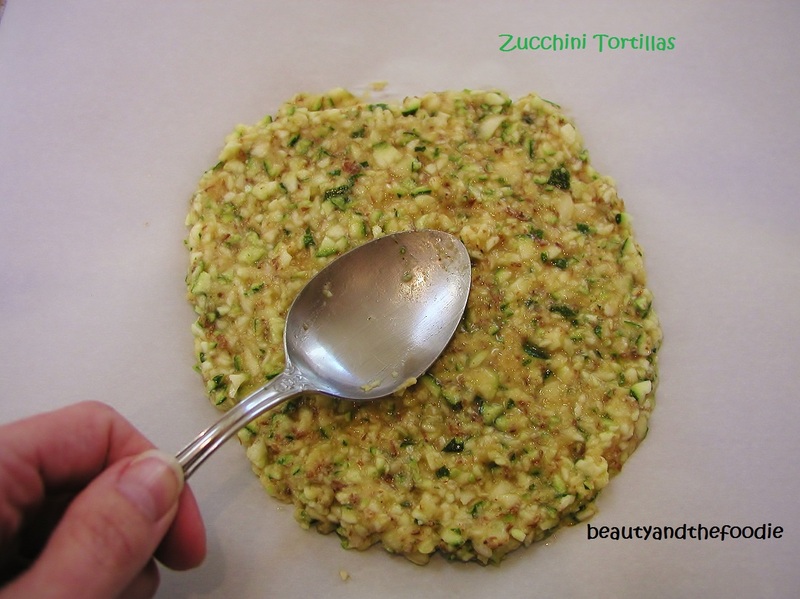 Thank you for asking that, because I never had thought of freezing grated zucchini. What a super time saving idea! I’m going to start freezing it too, because I use it so often. 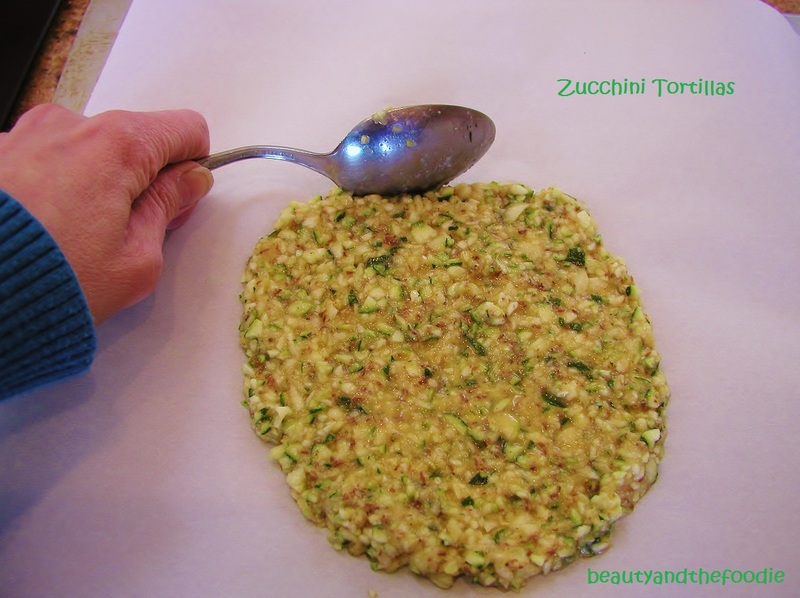 Have you stored riced cauliflower in the freezer too? Does this make two only? So you need to quadruple or more to make a lot? 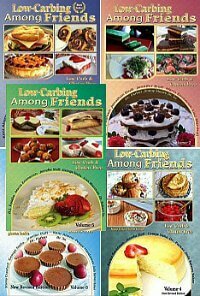 Hello Patti, Yes it makes two, but I usually triple the recipe to make six, since there are five of us at my house. If you quadrupled it, then that would be eight. I might add to the recipe measurements for a larger batch. That way people have “small or larger family” options. Thank you for commenting and bringing this to my attention. Great suggestion! (means more math though, lol).